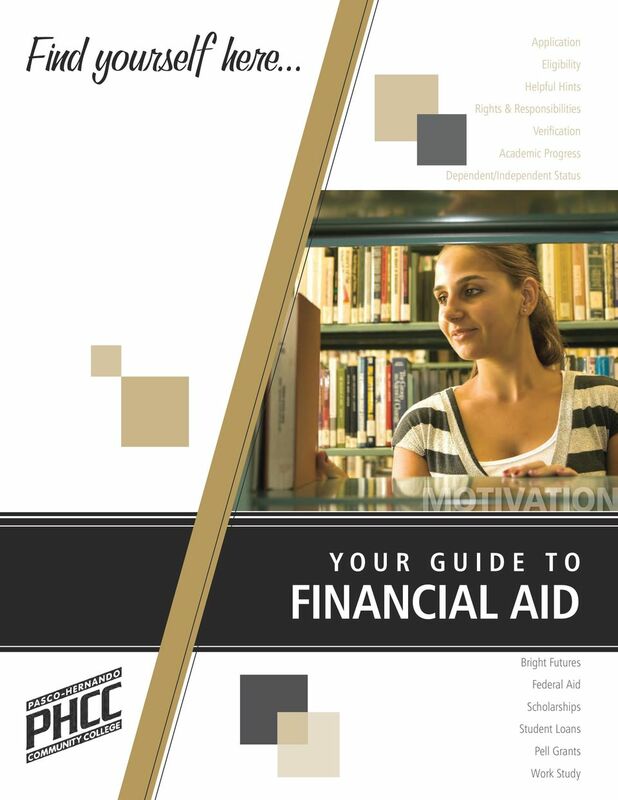 Download "Find yourself here FINANCIAL AID Y O U R G U I D E T O"
15 Financial Aid Programs at a Glance Programs and how to apply Federal Pell Grant Complete the FAFSA or Renewal FAFSA online. Federal Supplemental Educational Opportunity Grant (seog) Complete the FAFSA or Renewal FAFSA online. 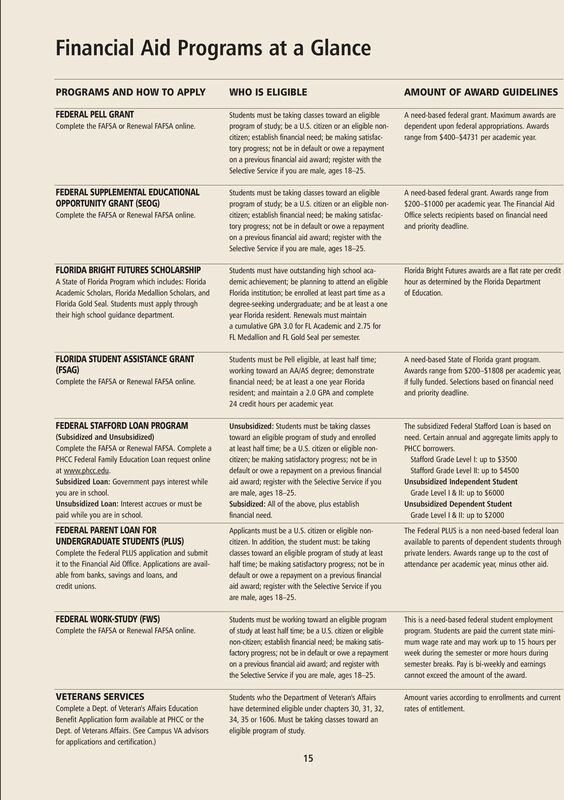 Florida Bright Futures Scholarship A State of Florida Program which includes: Florida Academic Scholars, Florida Medallion Scholars, and Florida Gold Seal. Students must apply through their high school guidance department. Florida Student Assistance Grant (fsag) Complete the FAFSA or Renewal FAFSA online. 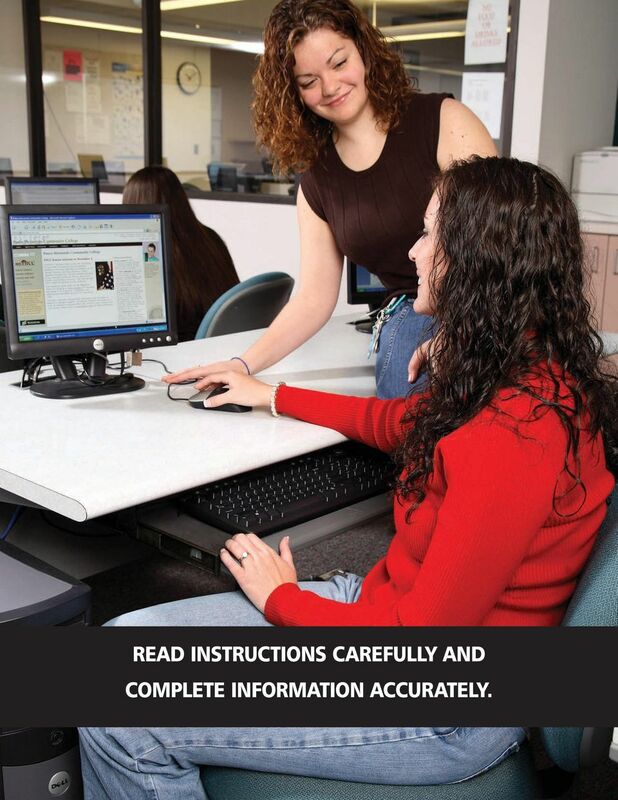 Federal Stafford Loan Program (Subsidized and Unsubsidized) Complete the FAFSA or Renewal FAFSA. Complete a PHCC Federal Family Education Loan request online at Subsidized Loan: Government pays interest while you are in school. Unsubsidized Loan: Interest accrues or must be paid while you are in school. 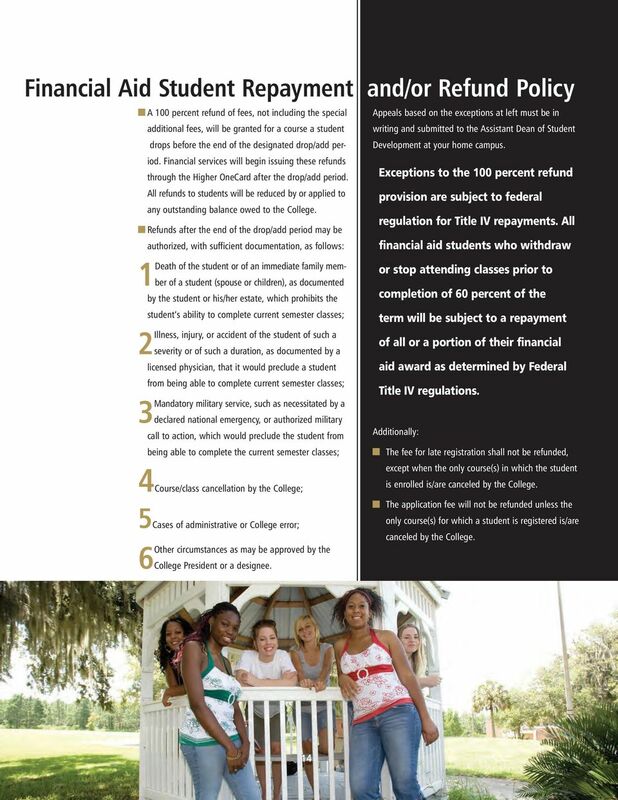 Federal Parent Loan for Undergraduate Students (plus) Complete the Federal PLUS application and submit it to the Financial Aid Office. Applications are available from banks, savings and loans, and credit unions. 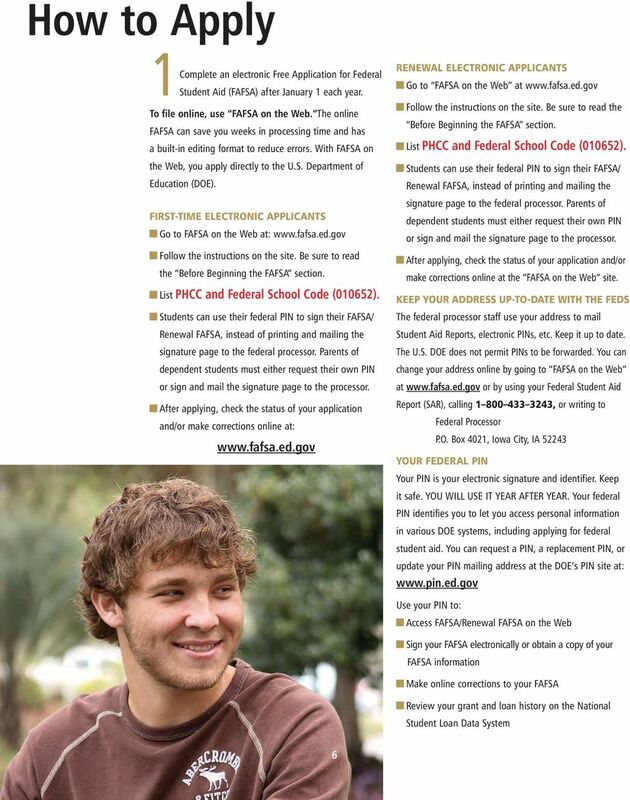 Federal Work-Study (fws) Complete the FAFSA or Renewal FAFSA online. Veterans Services Complete a Dept. 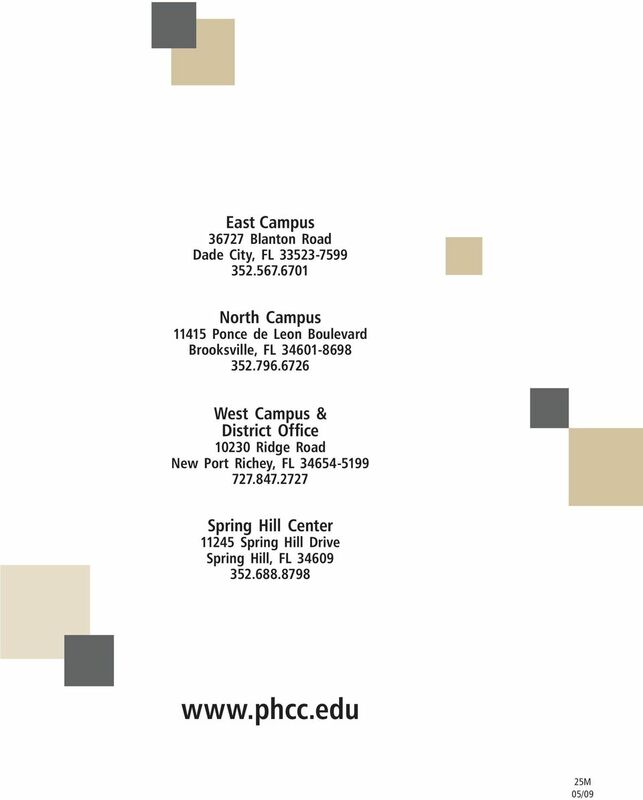 of Veteran's Affairs Education Benefit Application form available at PHCC or the Dept. of Veterans Affairs. (See Campus VA advisors for applications and certification.) 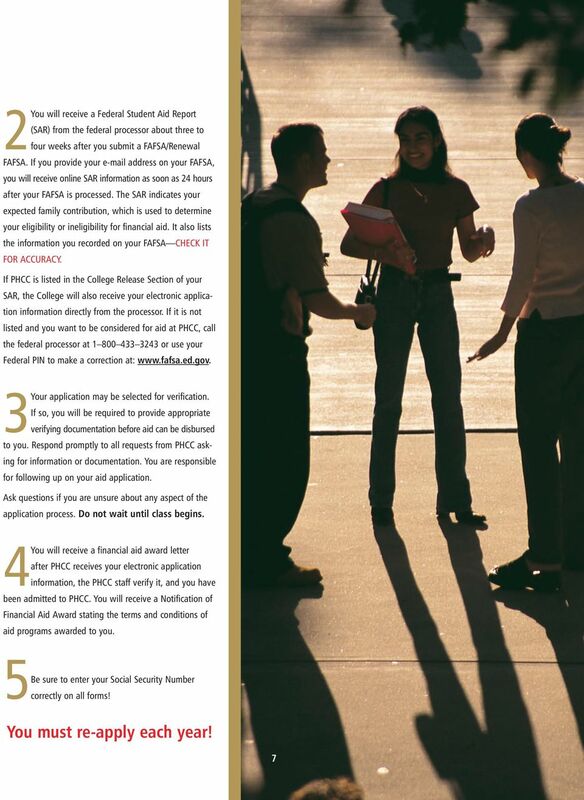 Who is Eligible Students must be taking classes toward an eligible program of study; be a U.S. citizen or an eligible noncitizen; establish financial need; be making satisfactory progress; not be in default or owe a repayment on a previous financial aid award; register with the Selective Service if you are male, ages Students must be taking classes toward an eligible program of study; be a U.S. citizen or an eligible noncitizen; establish financial need; be making satisfactory progress; not be in default or owe a repayment on a previous financial aid award; register with the Selective Service if you are male, ages Students must have outstanding high school academic achievement; be planning to attend an eligible Florida institution; be enrolled at least part time as a degree-seeking undergraduate; and be at least a one year Florida resident. 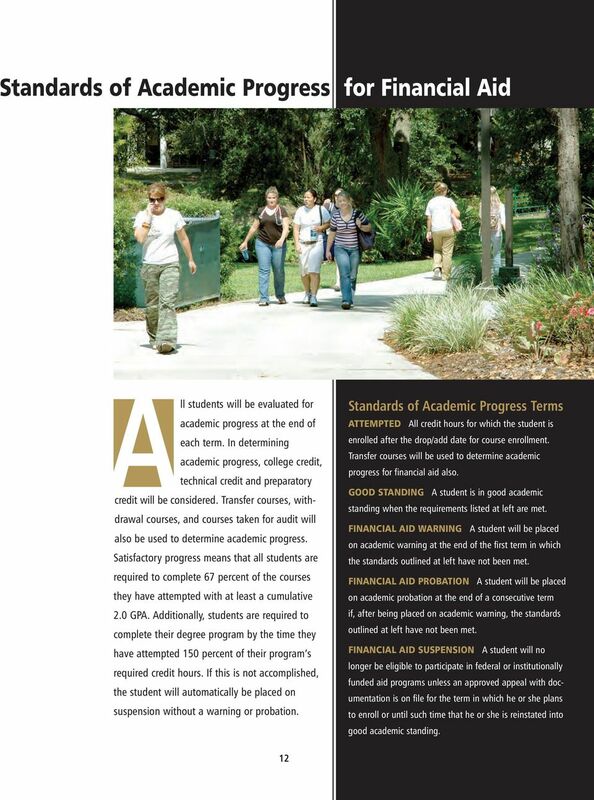 Renewals must maintain a cumulative GPA 3.0 for FL Academic and 2.75 for FL Medallion and FL Gold Seal per semester. 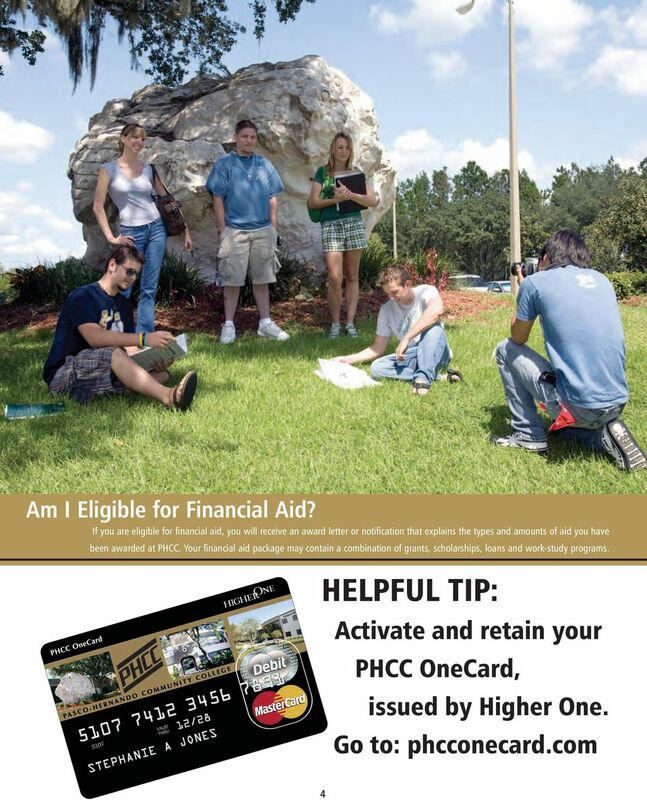 Students must be Pell eligible, at least half time; working toward an AA/AS degree; demonstrate financial need; be at least a one year Florida resident; and maintain a 2.0 GPA and complete 24 credit hours per academic year. 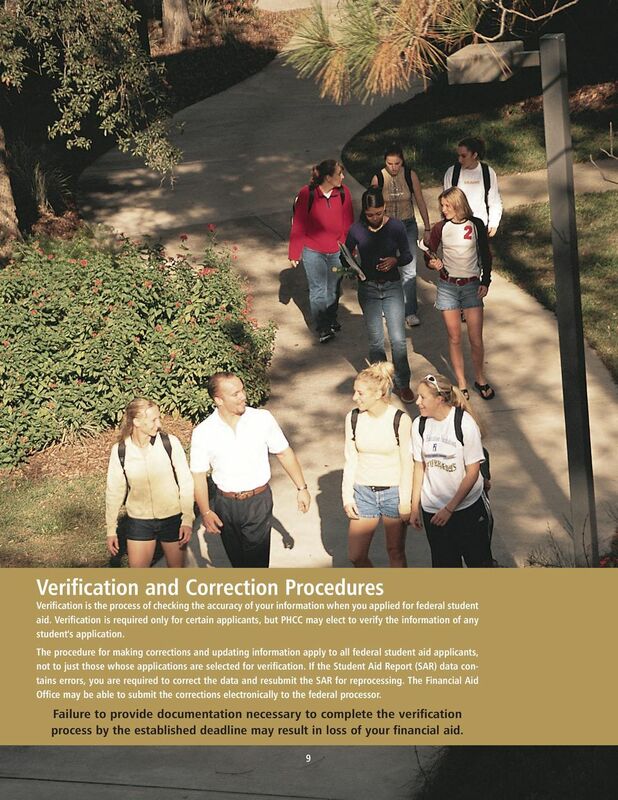 Unsubsidized: Students must be taking classes toward an eligible program of study and enrolled at least half time; be a U.S. citizen or eligible noncitizen; be making satisfactory progress; not be in default or owe a repayment on a previous financial aid award; register with the Selective Service if you are male, ages Subsidized: All of the above, plus establish financial need. Applicants must be a U.S. citizen or eligible noncitizen. 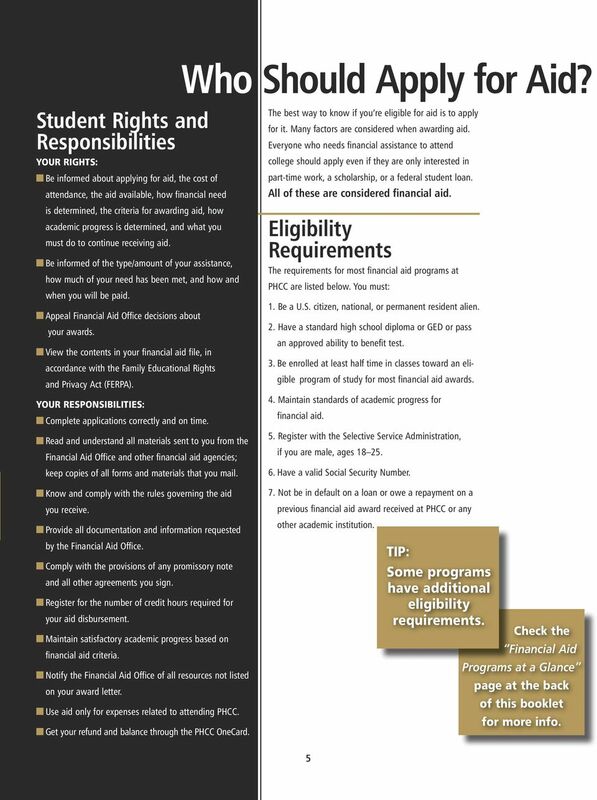 In addition, the student must: be taking classes toward an eligible program of study at least half time; be making satisfactory progress; not be in default or owe a repayment on a previous financial aid award; register with the Selective Service if you are male, ages Students must be working toward an eligible program of study at least half time; be a U.S. citizen or eligible non-citizen; establish financial need; be making satisfactory progress; not be in default or owe a repayment on a previous financial aid award; and register with the Selective Service if you are male, ages Students who the Department of Veteran's Affairs have determined eligible under chapters 30, 31, 32, 34, 35 or Must be taking classes toward an eligible program of study. 15 Amount of Award guidelines A need-based federal grant. Maximum awards are dependent upon federal appropriations. Awards range from $400 $4731 per academic year. A need-based federal grant. Awards range from $200 $1000 per academic year. 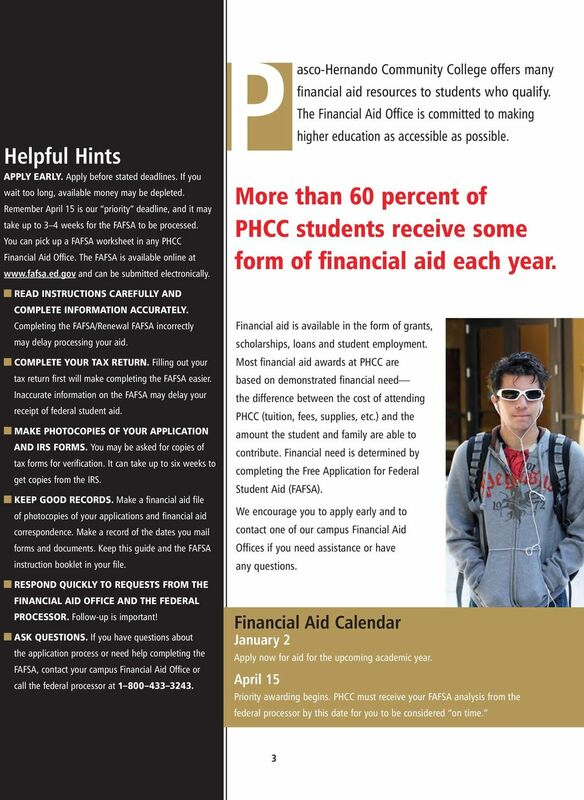 The Financial Aid Office selects recipients based on financial need and priority deadline. Florida Bright Futures awards are a flat rate per credit hour as determined by the Florida Department of Education. A need-based State of Florida grant program. Awards range from $200 $1808 per academic year, if fully funded. Selections based on financial need and priority deadline. The subsidized Federal Stafford Loan is based on need. Certain annual and aggregate limits apply to PHCC borrowers. 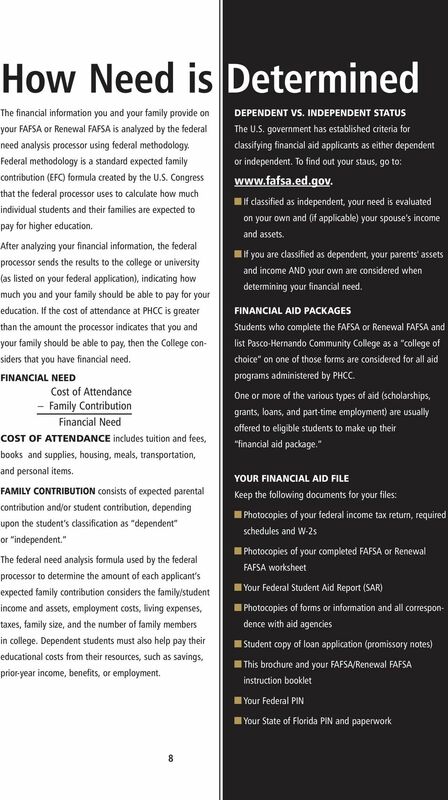 Stafford Grade Level I: up to $3500 Stafford Grade Level II: up to $4500 Unsubsidized Independent Student Grade Level I & II: up to $6000 Unsubsidized Dependent Student Grade Level I & II: up to $2000 The Federal PLUS is a non need-based federal loan available to parents of dependent students through private lenders. Awards range up to the cost of attendance per academic year, minus other aid. This is a need-based federal student employment program. Students are paid the current state minimum wage rate and may work up to 15 hours per week during the semester or more hours during semester breaks. Pay is bi-weekly and earnings cannot exceed the amount of the award. Amount varies according to enrollments and current rates of entitlement. Financial Aid. of the total clock hours required to complete the course shall receive no refund. ADDITIONAL FINANCING OPTIONS. DSU students received over $17.7 million in financial aid in the 2013 award year. 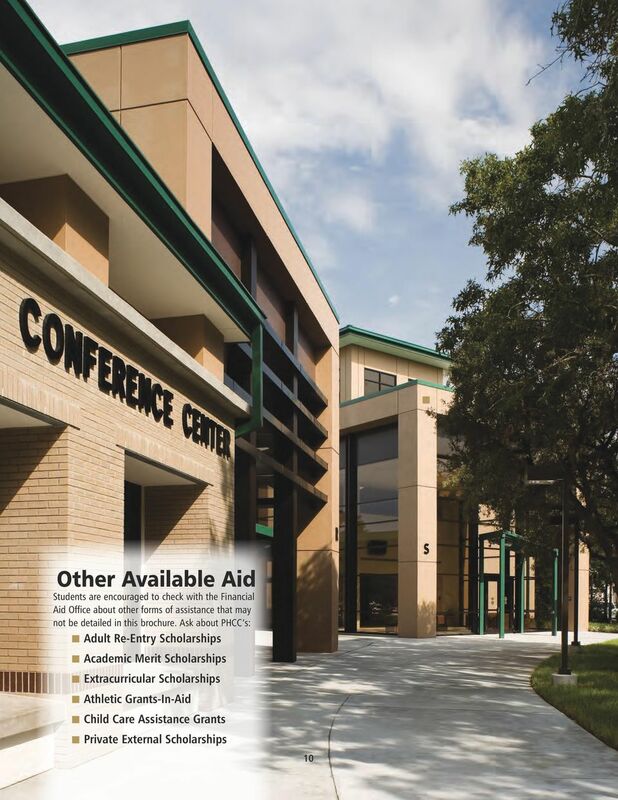 We have affordable tuition and good scholarships.